From time to time we have specials on new and refurbished equipment. 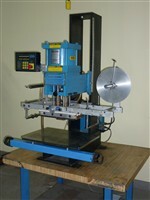 All used machines come with a 90 day warranty and are refurbished, tested and ready use. Take advantage of these savings today! SOLD! Please inquire about other systems as our customers are often upgrading to new systems!